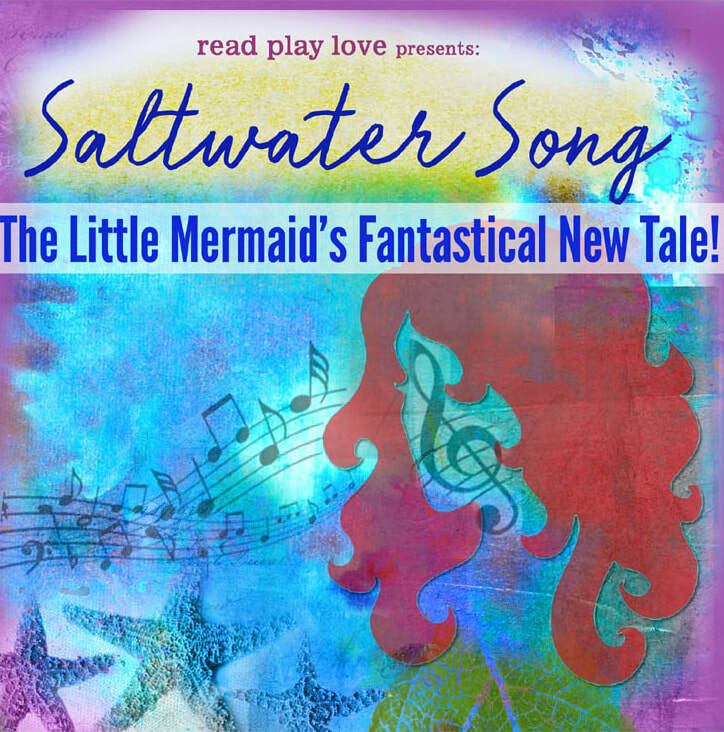 Read Play Love brings an inspiring twist to The Little Mermaid in our newest original musical. Kids age 4-16 are invited to join our world of mermaids, fantastical sea creatures, mischievous sharks, helpful pirates, and human who dare to dream in spite of all obstacles. ​Performances are August 9 and 10 at Dallas Childrens Theater. We create a role for every child who auditions. Auditions can take place in person or by video. We invite children to sing a song of their choosing, and to relax and have fun. At Read Play Love, even our auditions are designed to be positive, empowering experiences for kids! Production week (August 6 & 8) will also have evening rehearsals for full cast at DCT, 5:00-8:00. We do our very best to accommodate busy summer schedules! Each family submits a list of schedule conflicts, which plays a role in casting into different groups. Full schedule will be available on the first rehearsal so you can plan ahead. Tentative Encore Matinee on Wed August 15 @ 2pm, location TBA. ​Additional performances may be scheduled in other locations, determined by the availability of the cast. RPL Members: For current RPL Members in a membership commitment to the RPL Community, there is a one-time production fee of $60 for 1 child, $90 for two children, with a family-friendly cap of $120 for 3 or more children. Click here for info about Membership. * Costume costs are the responsibility of parents, but parents work together to decide and make everything as easy and most importantly, cost-effective as possible, often using shared, donated, or secondhand materials to keep costs minimum and much less expensive than other theatre production opportunities. * Unlike many traditional theatre programs, our primary focus is simple: building confidence & nurturing the creative self-discovery of each one of our kids! * Our passion is developing and sharing original new musicals with powerful stories and meaningful messages, as part of our series of "New Musicals for a New Generation!" * Our casts are inclusive and diverse. RPL is the ideal place for kids to try theatre for the first time, as well as more experienced performers to stretch their wings & grow!